The 2018 Mitty played out in perfect weather, but it was not as well attended as it had been in recent years. There were plenty of spectators, but the entries were down in the big bore production race, the one we came to win. 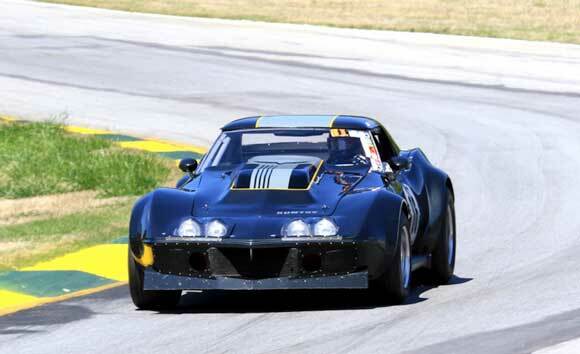 Duntov brought two HSR-Mitty prepared Corvettes Jim Kitzmiller's three-time National Championship winning big-block Corvette to be driven by Edward Sevadjian, and Clair Schwendeman's 68 Corvette, now, for the first time in a decade, running a small-block. The Kitzmiller car was fast out of the trailer, securing the pole by 2.1 seconds, however something seemed not quite right. On Thursday, Sam Lecomte's fuel injected small block Camaro had literally blown by the Kitzmiller car down the back straight. 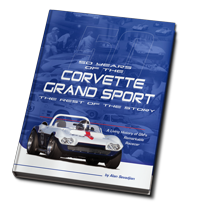 Duntov had only recently rebuilt and dyno'ed Sam's engine, and the team couldn't figure out how it could pass the much bigger displacement and lighter Corvette on the straightaway. A look under the Corvette's valve covers Friday afternoon provided the answer a broken valve spring. Clair's Mitty weekend ended on the first day with an engine issue that couldn't be fixed at the track. Clair stayed for the whole weekend in support of the team and its one remaining car. This was Duntov's first broken valve spring in the last ten years of racing. The team had long since quit bringing spare valve springs and the tools to install them. Since Edward was on the pole by a safe margin after the first two qualifying sessions, he sat out the Saturday morning final qualifying session while the team changed the valve spring, which, along with the installation tools, had been shipped from the Duntov factory by Next Day Air-Saturday Delivery. 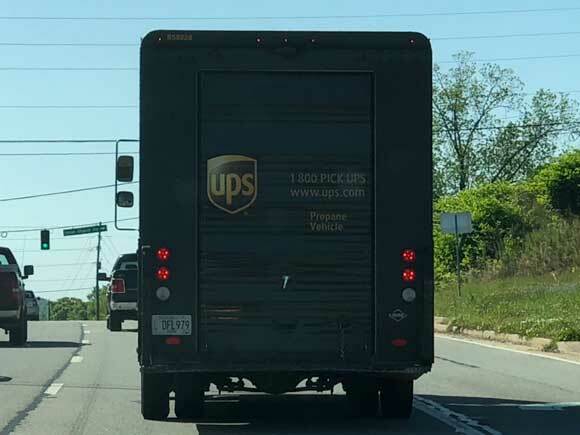 Jim and Alan went to the UPS hub Saturday morning and literally followed the UPS driver to Road Atlanta to get the precious package! 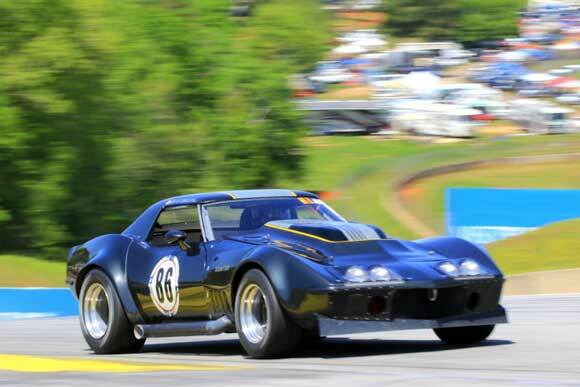 In Saturday's qualifying race, with all 16 valve springs operating normally, Edward set a Group 5 Road Atlanta lap record of a 1:30.784, and won the race by a comfortable margin. Sunday's race was a bit of an anti-climax, as the race was scheduled at 4:30 PM and many of the competitors had gone home. 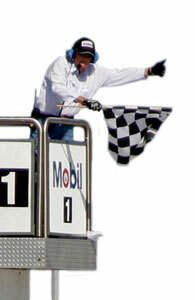 Only 13 cars took the green flag, and again Edward won by a comfortable margin. 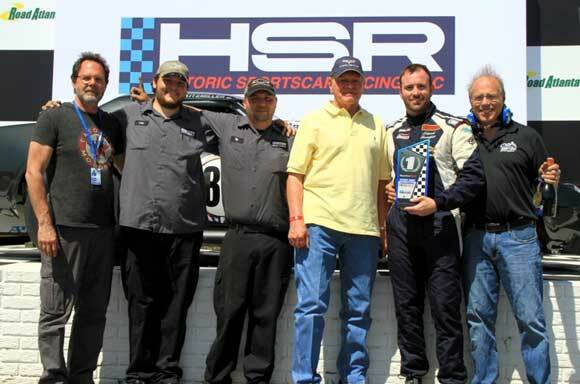 The podium was the same as it was on Saturday, all Corvettes, with Edward Sevadjian first, Jody O'Donnell second, and Mike Donohue third.